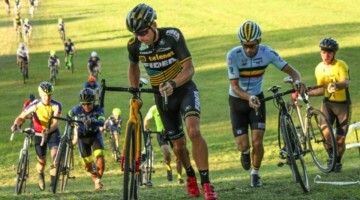 In Newbie News, we’ll be talking about how to get started racing cyclocross, regardless of skill level, budget or fitness. Why Eight Tips? Because we thought Ten Tips sounded cliched. However, we’ll even offer a bonus tip, just for reading: give cyclocross a try – don’t allow someone or some cyclocross website’s list delay your baptism to the best sport in the world! Attend a clinic: you may have read our article a week ago, Skills and Fitness on the Fritz? Try a Clinic! 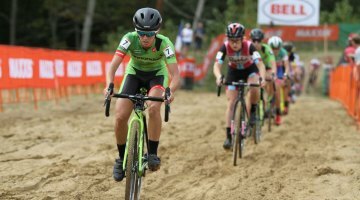 about what going to a cyclocross specific clinic can do for you and your season. 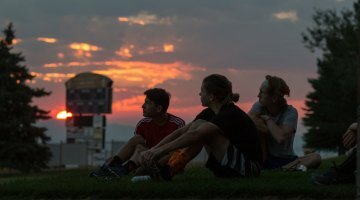 Often, these clinics are offered in July-August and into September, and can run the full gamut of price ranges: some clinics are offered as training camps that are a few days long and offer things like lactate threshold testing, and others are just a few hours to go over the basics on a Saturday. Well worth the time and effort, these clinics not only show yo the basics and offer training suggestions, they give you a chance to connect with other noobs and maybe make plans to train with them! Stay tuned: in coming weeks, we’ll be posting the Cyclocross 2011 calendar, complete with clinics, races and all things CX-related around the US and Canada. Get a bike fit, or at least read up about how a bike should fit: it’s hard to race when your knees come up to your shoulders when you pedal, and it’s amazing the amount of power you can put out when your bike is properly fit to you compared to when it isn’t. Read up a bit in our article The Perfect, Pain Free ’Cross Fit. Consider at least getting an expert opinion on how your bike is fitted currently, but make sure that you go to someone you trust and someone who knows what he or she is doing. 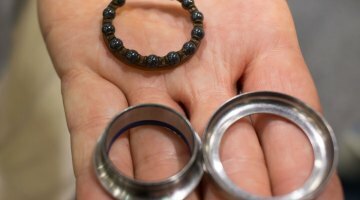 Bike fitting is a science and does require some knowledge of anatomy and bike mechanics. Stay tuned: Bike fitter Blake Bedoya of Signature Cycles will be giving some sage advice on getting a bike fit, accompanied by a video highlighting some key factors in a bike fit. Stay tuned: we’ll be going over how to convert road, mountain and hybrid bikes into makeshift cyclocross bikes, for those who aren’t ready to commit to buying a whole new ride. Practice! 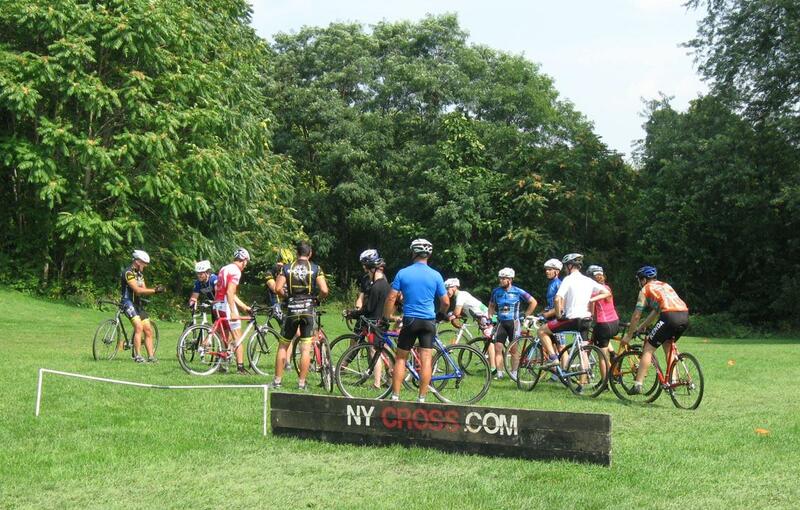 Find a local CX practice by joining local clubs or checking online. If there isn’t one around, set up some makeshift barriers in your backyard or local park, find a hill to practice run ups, and get practicing techniques and skills! Stay tuned: we’ll be posting articles on how to have your own practice, from building barriers with PVC pipes to proper technique descending a steep hill. Speaking of techniques and skills, learn the basics: barriers, dismounts and remounts, shouldering the bike, riding through mud or sand, and soon. (See tip number one about attending a clinic if you want to speed this process along.) No clinics for miles? Read our piece on Avoiding Injury: Getting Ready for Mounts and Dismounts. Stay tuned: we’ll be going through the “how to’s” of these techniques, providing pictures, diagrams, videos and of course, some embarrassing stories of our own. Read Cyclocross Magazine in print and on the website, and join the conversation on our Cowbell Forums! A subscription to our print magazine means a lot more in-depth coverage in our 100+ pages of content-packed mag. It’s entirely different content from our website, and features exclusive interviews, behind-the scenes reports, detailed tech pieces and reviews and features on regions and clubs. The cost of a subscription? It’s less than a race entry fee to get your year ’round cyclocross fix!On our website, you can search in the Training menu for some great tips and in the Cyclocross Tech How To section for some fantastic mechanical advice. Looking for a bike? Check out our bike reviews in the Gear and Bike Reviews section.One of the best ways to find out about anything cyclocross-related is simply by starting a discussion on the Cowbell Forum, leaving a message in the comment section of an article, or emailing the Online Editor, molly [at] cxmagazine.com to let her know what you want to see in this section! Of course, if you’re not ready to join the conversation, there are plenty of member-uploaded videos, pictures and discussions for you to peruse, or use the Forum Search feature (located right under Forum Discussions) to find what you’re looking for. 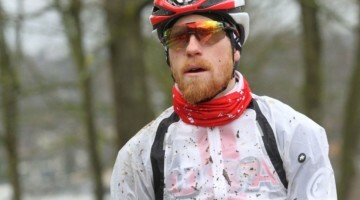 Race: the best way to get good at cyclocross and have fun at the same time is simply by racing. You’ll learn technique, skills and race strategy as you go, all you need to do is get started. And don’t just race and head home- stick around for the camaraderie and the crowds, the beer and the Belgian waffles. Staying for the Pro race is also always a good idea for picking up tricks and techniques: see how they take barriers and then go home and practice. Stay tuned: in the next few weeks, check back for our national calendar of race and clinic events! Have a tip for new riders? Have a question you want answered? Leave it in the comments! Set attainable goals for yourself. The top half or 25% of the field can vary greatly depending where the race is and who shows up. I got sucked into reading my results on crossresults.com and started feeling inadequate if I dd not place high up. Keep it fun, some of the races that I had the most fun in I placed outside of the top 50%. just get out there and try it! @fourflys My #1 goal in my first race was to finish also. Yes, it was hard but I did it. Got 90th out of 93 with 7 DNF’s. It was the worst pain I have ever felt but the most fun I have ever had. Is it fall yet? Thanks. I righteous stumbled http://www.shehulegal.com your blog further wanted to voice that I possess indeed enjoyed lesson your blog enters. <a href=”http://msphackonline.com/”>Hack moviestarplanet</a> from this webpage.